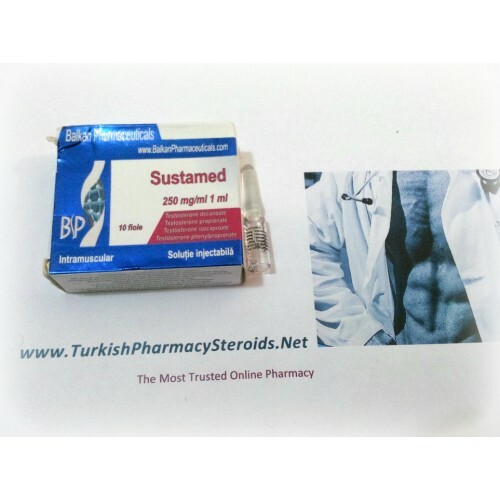 Sustanon 250 is an oil-based injectable testosterone blend, developed by the international drug firm Organon. It typically contains four different testosterone esters: Testosterone propionate (30 mg); testosterone phenylpropionate (60 mg); testosterone isocaproate (60mg); and testosterone decanoate (100 mg), although a lower dosed version is also produced. An intelligently "engineered" testosterone, Sustanon is designed to provide a fast yet extended release of testosterone. The propionate and phenylpropionate esters in this product are quickly utilized, releasing into circulation within the first four days. The remaining esters are much slower to release, staying active in the body for about two and three weeks (respectively). This is a big improvement from standard testosterones such as cypionate or enanthate, which provide a much shorter duration of activity, and a more variable blood level. As with all testosterone products, Sustanon is a strong anabolic with pronounced androgenic activity. It is most commonly used as a bulking drug, providing exceptional gains in strength and muscle mass. Although it does convert to estrogen, as is the nature of testosterone, this injectable is noted as being slightly more tolerable than cypionate or enanthate. As stated throughout this book, such observations are only issues of timing however. With Sustanon, blood levels of testosterone are building more slowly, so side effects do not set in as fast. For equal blood hormone levels however, testosterone will break down equally without regard to ester. Many individuals may likewise find it necessary to use an antiestrogen, in which case a low dosage of Nolvadex®(tamoxifen citrate) or Proviron®(mesterolone) would be appropriate. Also correlating with estrogen, water retention should be noticeable with Sustanon. This is not desirable when the athlete is looking to maintain a quality look to the physique, so this is certainly not an idea drug for contest preparation. Being a strong androgen, we can expect the typical side effects. This includes oily skin, acne body/facial hair growth and premature balding. 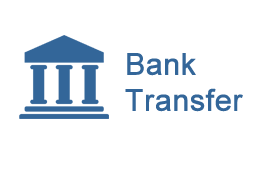 The addition of Proscar®/Propecia® should be able to minimize such side effects, as it will limit the testosterone to DHT (dihydrotestosterone) conversion process. Sustanon will also suppress natural testosterone production rather quickly. The use of HCG (Human Chorionic Gonadotropin) and/or Clomid® (clomiphene citrate)/Nolvadex® (tamoxifen citrate) may be necessary at the conclusion of a cycle in order to avoid a hormonal crash. Remember though, Sustanon will remain active in the body for up to a month after your last injection was given. Beginning you ancillary drug therapy immediately after the steroid has been discontinued will not be very effective. Instead, HCG or Clomid® (clomiphene citrate)/Nolvadex® should be delayed two or three weeks, until you are near the point where blood androgen levels are dropping significantly. Although Sustanon remains active in the body for approximately three weeks, injections are taken at least every 10 days. An effective dosage ranges from 250mg (one ampule) every 10 days, to 1000mg (four ampules) weekly. Some athletes do use more extreme dosages of this steroid, but this is really not a recommended practice. When the dosage rises above 750-1000mg per week, increased side effects will no doubt be outweighing additional An benefits. Basically you will receive a poor return on your investment, which with Sustanon can be substantial. Instead of taking unnecessarily large amounts, athletes interested in rapid size and strength will usually opt to addition another compound. For this purpose we find that Sustanon stacks extremely well with the potent orals Anadrol 50® (oxymetholone) and Dianabol (methandrostenolone). On the other hand, Sustanon may work better with trenbolone or Winstrol® (stanozolol) if the athlete were seeking to maintain a harder, more defined look to his physique. Sustanon 250 is probably the most sought after injectable testosterone. I must however emphasize that this is not due to an unusual potency of this testosterone combination however (remember esters only effect the release of testosterone), but simply because a "stack" of four different esters is a very good selling point. In many instances you will get a lot more for your money with enanthate, so don't let the fancy stack fool you. Sustanon is however still very abundant on the U.S. black market, and doesn't stay long on dealer's shelves. In fact the high demand for this steroid has stirred new interest in its manufacture, particularly by veterinary companies in Mexico. As a result, we now have two new clones coming out this country. The first is Ttokkyo's Testonon 250. This item comes packaged in 5 ml multi-dose vials, and obviously provides much more steroid per container than the single-dose ampules. Soon after we started to notice Loeffler's Testosterona IV UA. This contains the same steroid but in a l0ml vial, doubling the volume of Ttokkyo's product. Also found recently is clone from Qualityvet in Costa Rica called Testosterona 250, which is in a l0ml vial as well. These are the first multi-dosed versions of this steroid ever to be developed, and provide a much more economical way to use this testosterone product in most cases than single dose ampules. Russian Sustanon, manufactured under license by Infar in India (for export to Russia) is still found in the U.S. with some frequency. This product comes packaged in plastic strips that hold five ampules, sealed on the face with white paper label. Each ampule is sealed in a separate compartment and the packaging is scored so as to break off individual ampule sections. One standout characteristic is that ampule labels and packaging bear a big green "250" imprint under the lettering. The old ampules, some of which might still be in circulation, have a white paper label and are imprinted with blue ink.